When Gymkhana became the first-ever Indian restaurant to be named National Restaurant of the Year in June, it was fairly obvious this would be part of the beast’s summer adventures. Bracing myself for the steep Mayfair prices and difficulty snagging a reservation (thank god for bank holiday Monday evenings) I went in with pretty high expectations. 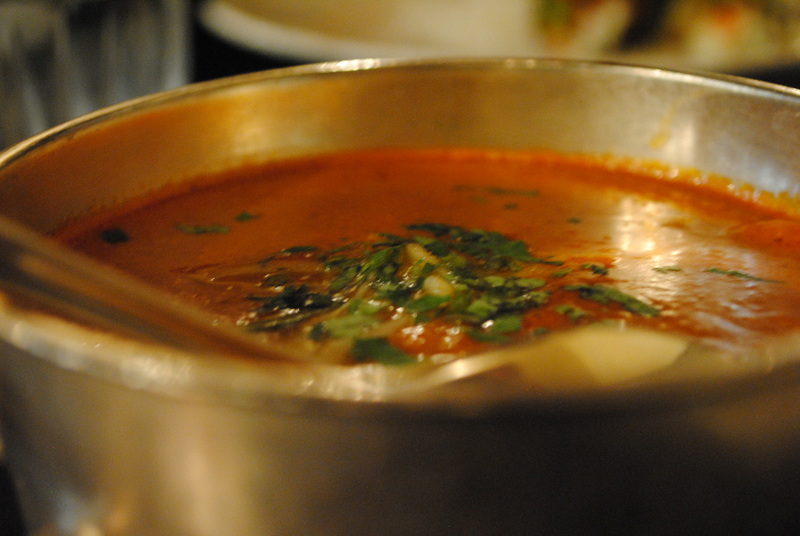 Afterall, Gymkhana was voted best restaurant of ALL restaurants, not just curry houses. 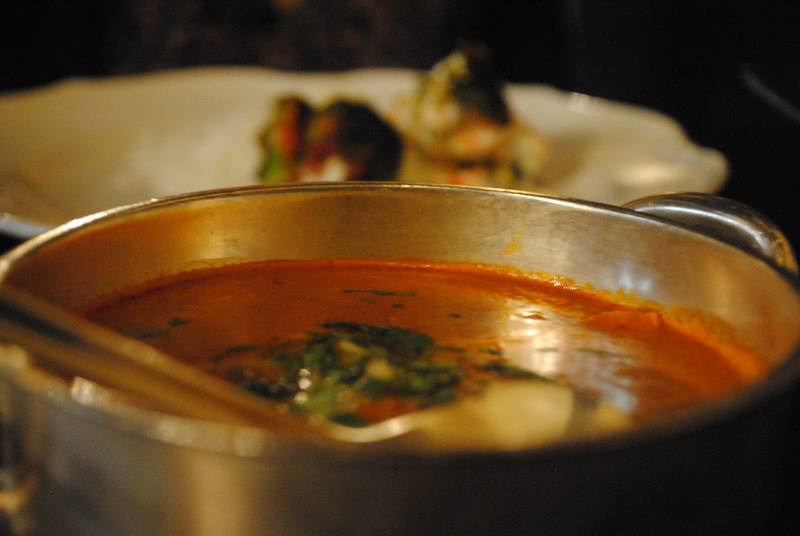 And let’s face it, you simply cannot beat a good curry. After an extravagant meal at Benares earlier this year and Cinnamon Club last year, I expected the experience to be somewhat similar. I was surprised by how different the feel of the restaurant was (prices were sadly the same), but the ambience was not what I expected — awkwardly stuffy service with cloth napkin swans. Gymkhana is decorated in the colonial style and is meant to evoke the era when high class society frequented sporting clubs during the days of British Raj. The restaurant itself is extremely darkly lit — dark wood, brass edged tables and rattan chairs, along with smaller details like actual hunting trophies from the Maharaja of Jodhpur, antique leaded mirror work and Indian sporting prints on the wall, create an elegant old feeling. Whereas Benares has that swanky, trendy contemporary Indian thing going on and Cinnamon Club is just downright uptight, Gymkhana harks back to a different era, preserving the memory and feel of the past. Onto the food. Whilst the likes of Gymkhana would never have an onion bhaji or chicken tikka masala on the menu, they are kind enough to offer some bog standard comforts — chicken butter masala (£15), basmati rice (£5) and a bread basket of assorted naans (£6) for those of us who are hellbent on our staples. 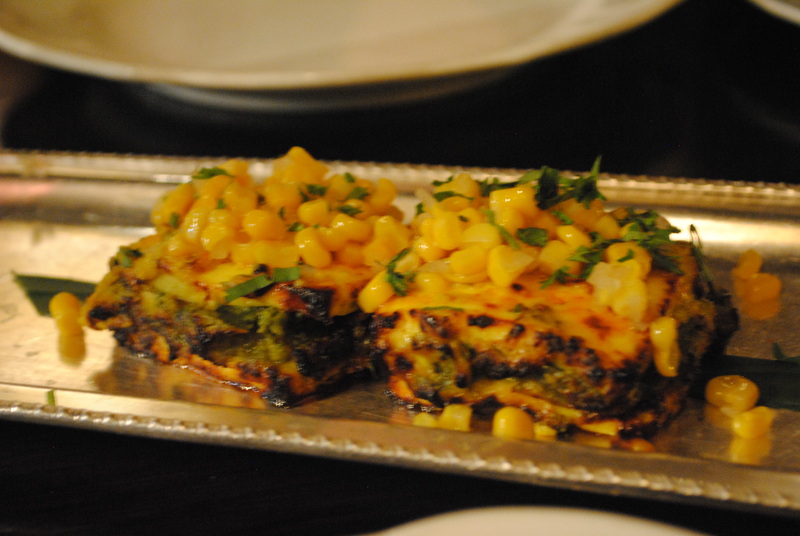 For starters, paneer tikka with cashew nuts and corn chat (£8) is delicious and served with spinach inside, resembling a paneer sandwich. Something quite different but flavourful and well-balanced. 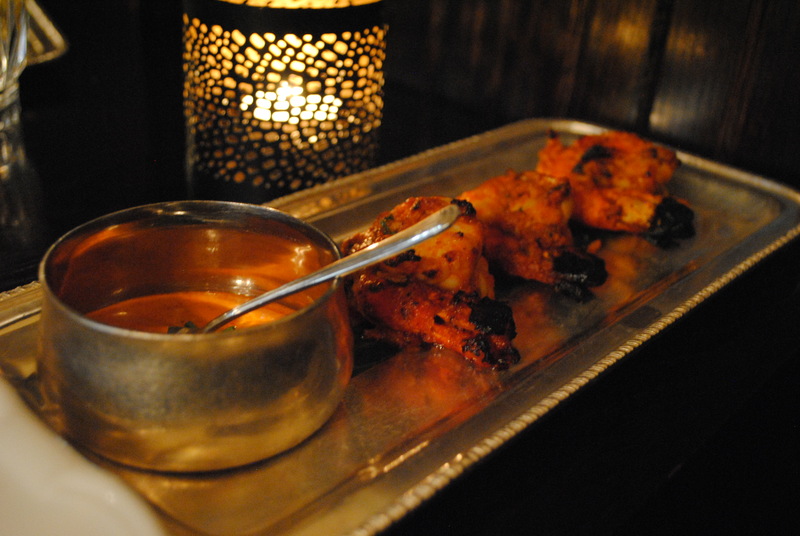 Lasooni wild tiger prawns with red pepper chutney (£14) are grilled to perfection yet surprisingly fiery. For a starter it comes with a hefty price tag but the portion size is generous. 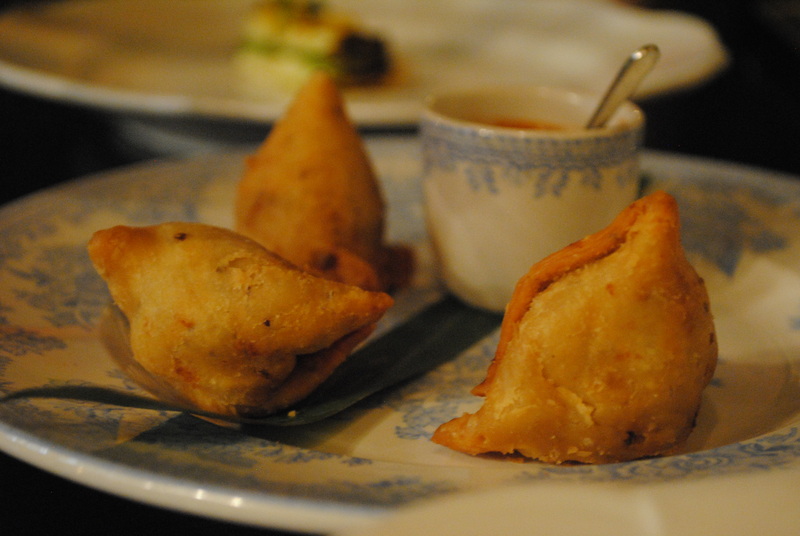 The Punjabi vegetable samosa (£8) are well, your regular old samosas — nothing to gawk at here. The outside was for some reason ridiculously crispy, so much so that my dinner companion and I made the mutual agreement we would have to pick them up with our hands in the oh so posh restaurant as that would be less embarrassing than attempting to stab it with a knife and having it fly across the room. We would have been better off to have ordered the duck dosa with coconut chutney which sounds delightfully intriguing. Sometimes it is hard to break out of that comfort zone. 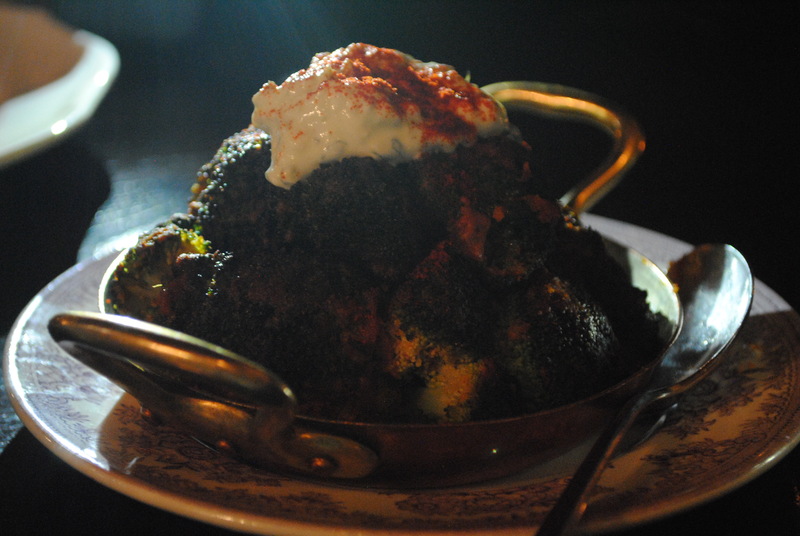 Surprisingly the tandoori broccoli with green chilli raita (£7.50) turned out to be the gem of the evening. Whilst I am a bit biased because broccoli is my favourite vegetable, this dish provided the perfect complement to our curry dishes and a nice break from the rice and naan carb overload that is often a side effect of Indian dining. The broccoli were perfectly seasoned, crisp, fresh and turned into something completely spectacular with the raita ladled on top. Would absolutely order this again. Overall, a very pleasant dining experience with probably the most relaxed yet still ‘cool’ ambience of any Indian dining establishment in London, proving that not all Indian restaurants have to march to the same beat. 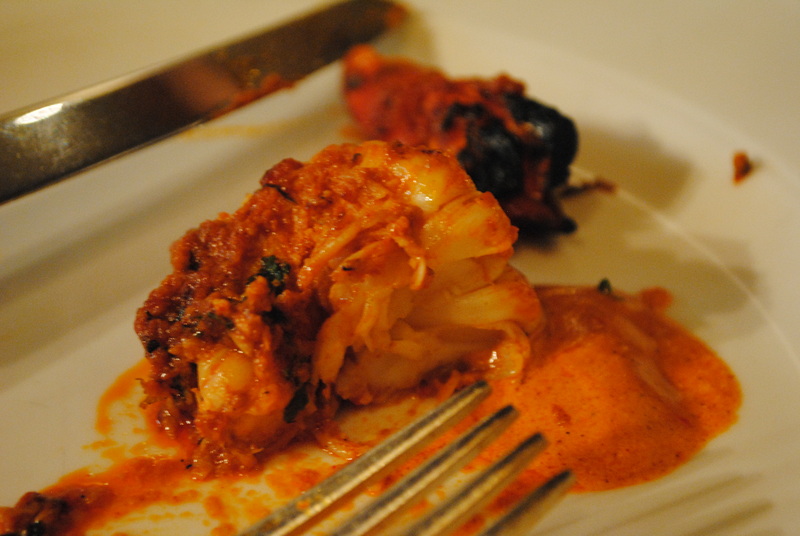 The way the menu is laid out — nashta, kebabs and tikkas, game and chops, curry and biryani, sabzi — is also unique. Good job Karam Sethi. Posted in Restaurant Reviews - LondonTagged award, British Raj, colonial India, fine dining, Gymkhana, Indian, Karam Sethi, London, Mayfair, National Restaurant of the Year, sporting clubsBookmark the permalink.